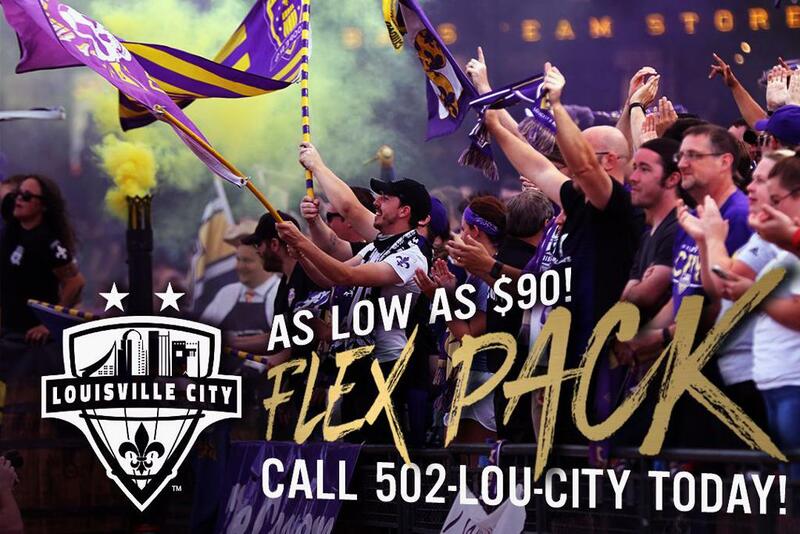 Louisville City’s Flex Pack is an exciting chance for fans to get more bang for their buck! 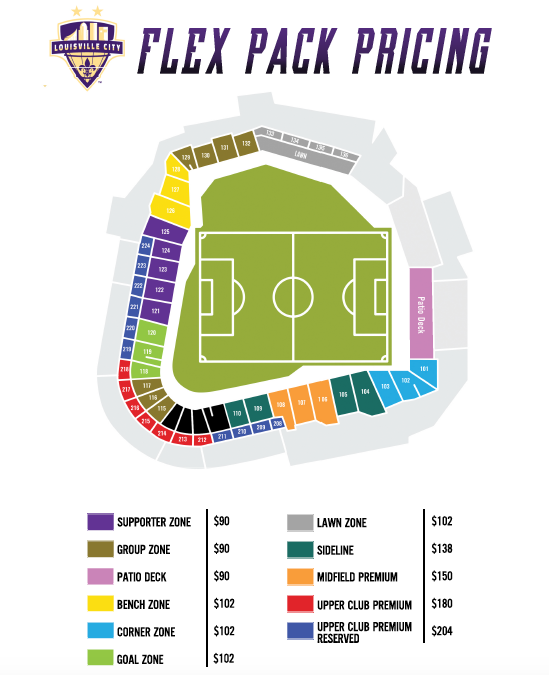 With the Flex Pack, you receive six ticket vouchers that can be exchanged for tickets to any regular-season home game for a ticket price lower than individual match tickets. You get the freedom to choose which games you'll attend anytime. Packs starting as low as $90! Want to attend more matches? Don’t miss the opportunity to purchase Season Tickets. For more info CLICK HERE. If you have any questions, please contact a ticket representative by calling (502) 384-8799 or email tickets@louisvillecityfc.com.